The first steps in the discovery of MSG took place at Tokyo Imperial University in 1907. 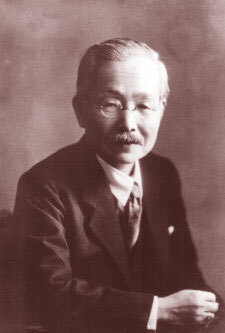 Professor Kikunae Ikeda noted "There is a taste which is common to asparagus, tomatoes, cheese and meat, but which is not one of the four well-known tastes of sweet, sour, bitter and salty." He started experimental work on Kombu Seaweed, another source in which he found the taste was present. He succeeded in extracting crystals of Glutamic Acid, 100 grams of Kombu Seaweed containing around 1 gram of Glutamate. He noted that the Glutamate had a distinctive taste, different from Sweet, Sour, Bitter and Salty, he gave this taste the name "umami". The Professor decided to create a seasoning from his newly extracted Glutamate. To be used as a seasoning, his creation would need to have characteristics similar to those of sugar and salt, i.e. be easily water soluble, but neither absorb humidity, nor solidify. Monosodium Glutamate was found to have excellent storage properties, and had a rich "umami" taste. It turned out to be an ideal seasoning. Because MSG has no specific texture or taste, it can be used in a vast variety of dishes, naturally enhancing the original flavours of the food.